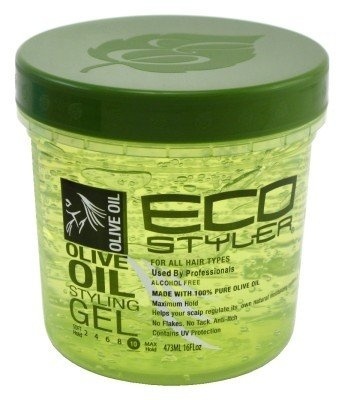 Ecostyle Olive oil styling gel is made with 100% pure olive oil. Olive oil helps your scalp naturally regulate its own moisturizing system. Olive oil helps attract moisture to the scalp and holds it in. This gel is weightless and will leave your hair with a healthy shine and superior hold.